Can I stop my title loan company from repo'ing my car or truck by filing bankruptcy? Is it safe to take out my I.R.A. 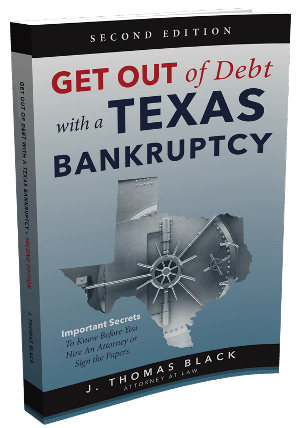 money during my bankruptcy if I chose Texas exemptions? Do I have to pay the Obamacare penalty for not having health insurance if I filed bankruptcy in last 6 months? If I file chapter 13 in Houston, can I put money aside in emergency savings, in case something happens? How long does filing bankruptcy stay on my credit reports? Does filing bankruptcy stop you from being prosecuted for a crime, like collecting T.W.C. benefits that you are not entitled to? Can my Houston chapter 13 plan "vest" or put unwanted property in my mortgage company's name? Can I sue my mortgage company for sending me bills after my mortgage loan is discharged in bankruptcy? If I file bankruptcy does that get rid of judgments that are already filed against my Texas homestead? 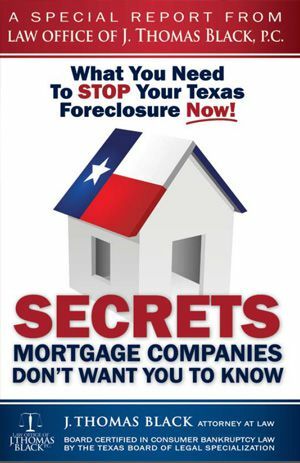 How long does it take before we can buy a home after filing bankruptcy in Houston? Can I file bankruptcy on my ex-spouse's attorney fees for a child custody case that I was ordered to pay? I have online payday loans. Can they be discharged if I file bankruptcy? 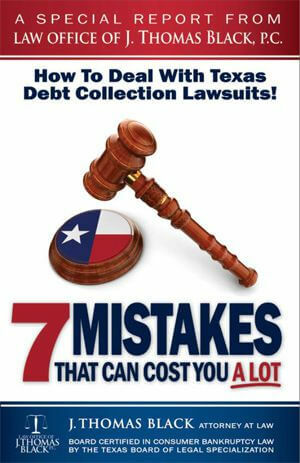 Do you accept Texas Legal (TLPP or legal insurance) for your bankruptcy attorney fees? Can I get my repossessed car back if the finance company has already had it picked up? I can't afford to catch it up or pay if off.